You know him. I know him. He is the every man, or rather what Euro-American mass media will have you believe every man aught to emulate. But if you take a Masculinity Studies course at Hunter College, then you will learn that the proper terminology for one such image is that of hegemonic masculinity. Hegemonic masculinity reins supreme in our sociopolitical context. He is born biologically male, his gender is then culturally assigned to him as boy – he grows up to be a man; moreover he is white, middle to upper-middle class, heterosexual, able bodied and more than likely identifies as Christian. Normative masculinity such as this has been constructed and reconstructed over time and throughout national spaces, namely in the United States. There is a shameful history of gendering races in America, that is to say that non-white masculinity has almost always been depicted as problematic. The myth of the hyper-masculine African American was used as justification for nineteenth and twentieth century lynchings here in the United States. Asian American men are often depicted in movies and television as asexual or uniformly effeminate. Latino, Chicano and Hispanic men have also historically been constructed as inferior. Take for example the writings of T.J. Farnham, an American patriot of the Mexican-American War. But we aren’t simply talking about historical examples here. 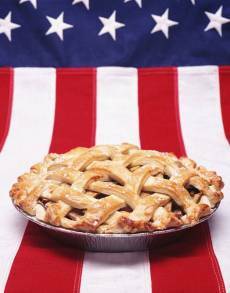 Many contemporary deployments of raced hegemony are made popular under the guise of… patriotism and [hegemonic] masculinity. An example of this might be that of burqa burning, which is not even spelled correctly in the link provided. One Women’s and Gender Studies Professor at Hunter described the idea behind both examples as white men saving brown women from brown men. Once it was articulated to me in this way, I began to see the American military presence in Iraq and Afghanistan a bit differently back in 2010 (i.e. bringing democracy and so-called-universal standards of human and women’s rights; as if the two are somehow different). However, this gender axis by which men are typically blames is a false [or faulty] analysis for critique and discussion. It is necessary that we incorporate a theoretical framework that is simultaneously critical of racial constructions so that we may gauge a more accurate understanding. Because many Euro-American feminists aim to likewise ‘burn’ or eradicate the burqa, with limited understanding of its plural transnational contexts. Therefore, a Transnational Feminisms course at Hunter might further teach that white women aim to save brown women from brown men under that same guise of so-called-universal human rights [that are outlined by Euro-American voices within the international debates surrounding rights]. Before I get too off topic, let me suggest that the politics of saving women of the global south, or women of non-white racial ethnic groups is all around problematic to say the least. A saving complex reifies culturally constructed social hierarchies that are racially based as well as gendered. We learn in Hons 201 that men suffer from patriarchal violence just as women do, only in different ways. Lived experiences vary according to complex intersections of social identity markers. Very few individuals fit that hegemonic mold of masculinity. Therefore a relatively young new branch of feminism (i.e. Masculinity Studies) is taking it’s rightful root in academia now, challenging previous conceptions of gender faced by self-identified men. 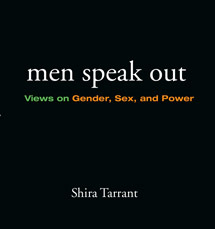 A great book to read [more on this topic] is titled, Men Speak Out, by Shira Tarrant: a collection of essays by self-identified men challenging and resisting social norms placed upon them as well as contemplating new meanings and [re]constructions of a pro-feminist masculinity.